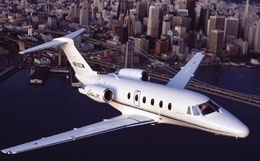 The Hawker 850XP, enhanced with a new interior, upgraded engine and improved aerodynamics, is able to accommodate up to eight passengers and two crew members in a spacious 604 cubic ft. cabin, fitted with stand-up headroom, LCD lighting, touch-screen seat controls, fully-breathable seats and plenty of in-cabin storage. Both the Hawker 800XP and 850XP are modern derivatives of the remarkably successful DH-125, which was a revolutionary aircraft at the time. 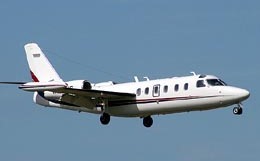 It was in 1993 when British Aerospace sold its business jet division to Raytheon and as a result, the DH-125 was rebranded as the Raytheon Hawker. It was the first aircraft to incorporate an Electronic Flight Interface System in its cockpit. In the mid 1990s, the aircraft was certified and released in an improved 800XP (extended performance) version, which significantly upgraded engines and performance. Additional upgrades were added a decade later with the arrival of the 850XP version, which made its debut at the European Business Aviation Convention & Exhibition in Geneva. The 850XP flies farther, performs better, and can climb faster than its 800XP predecessor, although the 800XP has been very successful in its own right. 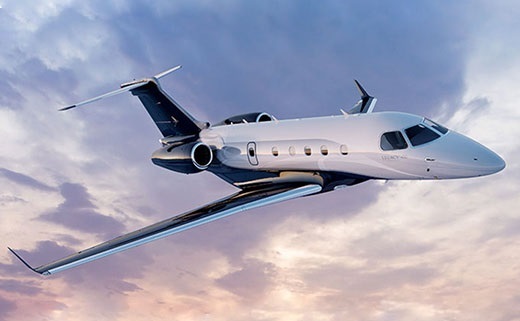 Nevertheless, the 850XP's astonishing performance capabilities and remarkable economy have made it the best-selling midsize business jet on the market. 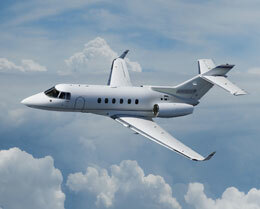 Production on the Hawker 850XP started in 2006 and ended in 2009. 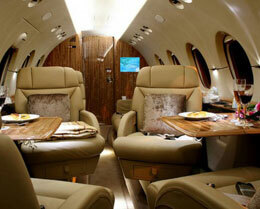 The greatest appeal for many private travelers when considering the Hawker 850XP is its large and spacious cabin. Its impressive dimensions of 21' 4" length, 6' width, and 5' 9" height provide comfortable freedom of movement and legroom for its passengers. With 604 cubic feet of interior cabin volume, it truly beats the competition. Typically set up in a luxurious double club arrangement, the cabin comfortably accommodates eight passengers, although it is possible to seat as many as eleven passengers. Standard cabin features include touch-screen seat controls, adjustable seats, in-cabin baggage space, LCD lighting, and of course ample standing room. Although the Hawker 800XP has as spacious an interior as the 850XP, the new and improved version features superior space optimization to make the absolute most out of the potential space of the aircraft. Travelers are guaranteed to appreciate the painstaking effort Hawker has made in making its aircraft as comfortable, luxurious, and spacious as possible. The strengths of both the Hawker 800XP and 850XP are their cruise speeds, climbing speeds, weight limits, and runway performance. The 850XP has a superior climbing speed and is able to reach 39,000 feet in approximately two minutes less time than its 800XP predecessor. The 850XP's range is also over 100 nautical miles greater. Cruising speeds of 448 ktas will take travelers to their destinations quickly and conveniently. Avionics have been upgraded to integrate the Collins Pro Line 21 avionics suite in its cockpit. Consequently, four large flat-panel monitors display navigation, weather, terrain awareness warning systems, enhanced ground proximity warning systems, and reduced vertical separation minimum. Although thorough, these systems are intuitive to an experienced pilot and reduce unnecessary workload, effectively giving the pilot more awareness and comfort. 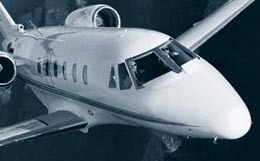 Hawker is a manufacturer that is trusted by millions and the 850XP shows no exceptions to their standards of excellence in producing reliable high-performance business jets. For more information about chartering, leasing or buying a Hawker 850XP please contact us by calling +44-20-3874-8091 or send us an email here.